This entry was posted on April 16, 2012 by Russell Smith. 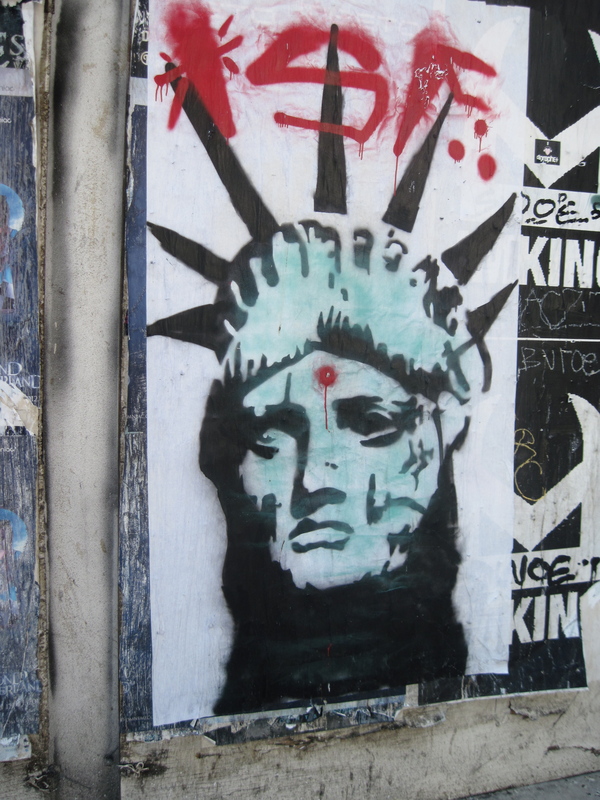 It was filed under Artwork, Urban and was tagged with graffiti, Hollywood, Russell Smith, Statue of Liberty. I thought he looked like Elvis! Wow! I love this image. Lady Liberty has truly taking a beating lately. We’re not the nation that said, “Bring us your tired…” Now, it’s more like, “You’re not welcome here, get outta here!” Makes one ponder where we’d be if our fore fathers hadn’t come to this land of opportunity. Sad. And, scary too.